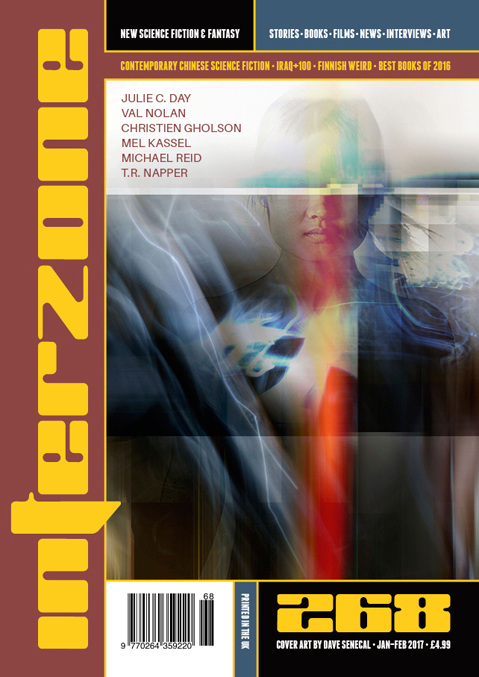 "Freedom of Navigation," by Val Nolan [bio] (edited by Andy Cox), appeared in Interzone issue 268, published on January 15, 2017 by TTA Press. Pro: He does escape, in a way, and he's united with Red, which is the only person he really seems to have any feelings for. From the name "Martian Co-prosperity sphere," we assume that the Martian government is totalitarian (see Greater East Asia Co-Prosperity Sphere), so escaping from it is a good thing. We're also not surprised that the Centaurs are programmed to detect and punish treason. The story has plenty of tension and plenty of excitement. Con: The science is pretty bad. Gravity on an asteroid would be so low that an injured leg would hardly be noticed. Falling down would take a long time and not hurt. 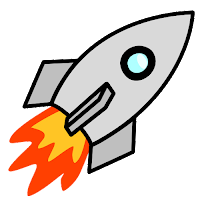 There's not enough hydrogen in space to refuel a ship, and uploading a mind to the AI by accident is awfully hard to believe. Also, references to things like "interplanetary airspace" are just jarring. Although it maybe lacks ambition to do anything more, this was fun and exciting MilSF. The bad science did me in. There was just too much of it for me to really enjoy the story. And the ending was annoying.